The International Forum on Women in Business will be hosted by the Government of Finland and the International Trade Centre (ITC) with the support of Sisters in Charge International, in Helsinki, Finland, on 8 June. 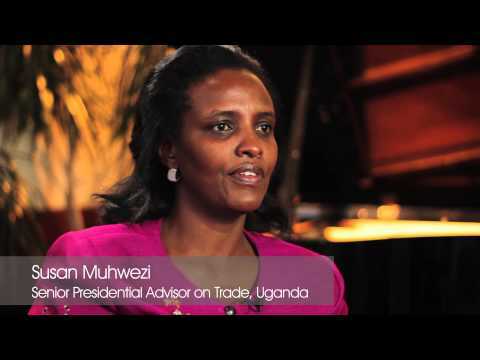 Policymakers, the business community and representatives of women business organizations will convene to galvanize support for the ITC SheTrades initiative to connect one million women to market by 2020, leveraging trade as a channel for the economic empowerment of women. Gender equality and the empowerment of women is a prerequisite of achieving the Global Goals for Sustainable Development adopted at the United Nations General Assembly, setting forth an ambitious development agenda towards 2030. Advancing women’s equality could add US$ 28 trillion to global GDP by 2025, enabling economies to unlock their full potential. It is in this context that ITC launched the SheTrades initiative seeking to rally stakeholders around the world to work together on seven priority areas set out in a call to action to address trade barriers and create greater opportunities for women entrepreneurs. It is supported by a web and mobile digital platform. High-level delegates will discuss policy considerations as well as the role of technology, and highlight ways in which their organizations can adopt practical interventions in support of SheTrades, contributing to ensuring that trade leads to sustainable development, resilience and inclusive growth. Apply now by completing the application form. A select number of participants will be chosen to attend the forum on a first come first served basis. For further information on the International Forum on Women in Business, contact us at womenandtrade@intracen.org. Delegates will share good practices and examples of implementation of policy solutions related to seven pillars of the SheTrades initiative to bring one million women entrepreneurs to markets. How can the stakeholders leverage technology, the internet, and digital solutions to accelerate women’s participation in- the global economy? Demonstration of the SheTrades app to support the implementation of partners’ commitments to bring one million women to market. Announcements from delegates of commitments and support for the SheTrades initiative. Is life improving for women in Papua New Guinea ? The most popular talk show in Papua New Guinea, Tanim Graun, discusses this question in a special edition as part of the United Nations’ 16 days of activism against gender-based violence. The panel included Mr. Torek Farhadi, Senior Adviser for the ITC Women and Trade Programme. He argues that economic empowerment of women can help address domestic violence, sexual assault and discrimination in homes, communities and workplaces.